Online shopping is so amazing when planning your wedding. Everything you need at a click of a button and it comes right to your front door. While we would never want to deter you from buying directly from our website we would love to show you some of our favorite picks from our three favoirte Etsy shops. This site is a great way for you to find wonderful handmade items and to get some decorative ideas. If you haven't tried this site for wedding essentials we recommend that you do. 1. Lets start with our top 5 favorite veils from Becca's bridal boutique. This gorgeous drop veil is so soft and romantic. It gives the appearance of a floating veil with no obvious signs of a comb or bunching. Drop veils were made popular by Grace Kelly and more recently Princess Kate. They are made to appear to be floating with no obvious signs of combs or pins. 2. We love all the traditional yet trendy veils in this shop! 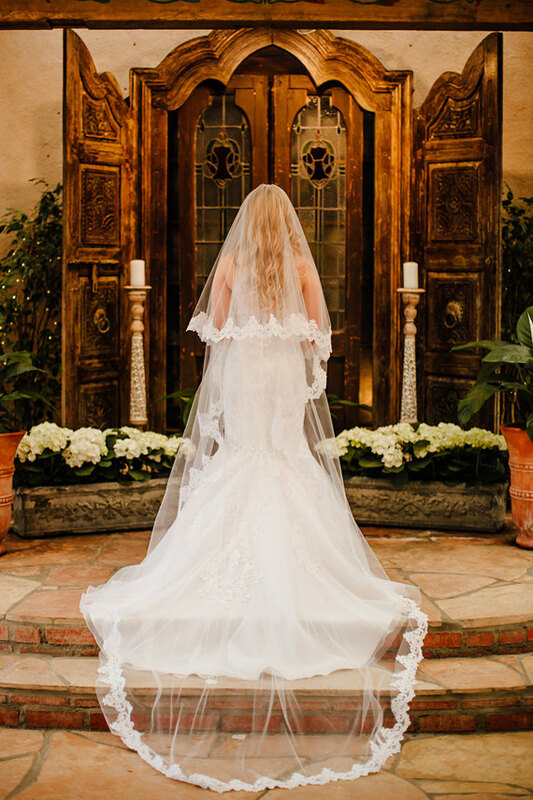 This gorgeous wedding veil is stunning! It is handmade with very soft bridal illusion tulle and a gorgeous French beaded lace. Its is sure to be a showstopper at your wedding! 5. This gorgeous wedding veil is every bit stunning as it is classic! This single tier wedding veil will be the perfect compliment to any wedding dress. It is handmade with very soft bridal illusion tulle and then hand sewn to a metal 3" bridal comb. Your wedding veil will be made to a perfect medium sheerness of 72" in width as my beautiful brides pictured. This means this veil is just a bit more sheer and has less volume at the comb than my full 108" width veil. As stated above this pictures were not in a specific order. If we had to choose our favorite it would probably change every time you asked. I would like to thank Becca's Bridal Boutique and Your Heirloom Veil for allowing us to feature some of their veils in this blog. We hope you find the veil you have been dreaming of and we hope these veils helped you to find it.